Take your TV with you. With the DISH Anywhere app, you can watch the same TV you get at home on your iPhone or iPod touch. Enjoy your favorite live or recorded programs anytime, anywhere. Also, manage your home television with a full-featured DVR manager and a searchable program guide. This is a must-have app for DISH Subscribers. - Find the best games to watch by following the Excitement rating of each game. - Users that have a Hopper with built-in Sling technology can now Transfer DVR recordings to their iPhone and watch them offline. *Requires high-speed Internet connection to a Hopper with Sling/ ViP™ 922 Slingloaded™ DVR, or a Hopper, ViP™ 722, or ViP 722k DVR with Sling Adapter accessory. In my opinion is very poor. In the beginning it was good. Things obviously have changed it’s not consistent has a hard time staying on has a hard time connecting has a hard time just playing video. I’ve called customer service numerous times they tell me just to reinstall it I reinstall it and the same stuff happens. Very disappointed I was really looking forward to having this app and I’m not going to get rid of it because I do use it quite often it’s just too bad that they don’t stand behind their product and try to fix it. Sometimes I get the excuses that it’s my Internet ( which is kind of funny because I travel and I use different Internet so it just can’t be my one Internet because it’s multiple Internet ) sometimes I get excuses that it’s my equipment (which mind you they won’t admit that there’s anything wrong with their equipment either when it comes down to it). So I guess were stuck until maybe somebody in corporate has the same issues and gets a little frustrated too. Lag and streaming is understandably frustrating. Streaming Live TV or DVR content from your receiver has a lot of moving parts. The programming first has to go into your receiver from a satellite, then uploaded to the internet, and then streamed into your device. If something within that system isn't working correctly, issues can happen. We recommend that you have a reliable connection at your receiver and at your device. A strong connection with a network bandwidth of 800 Kbps or better for SD, 4 Mbps or better for HD, will suffice. If you have multiple devices connected and accessing the internet in your home, streaming can be slower than usual. The same goes for the connection on your device. Double check these components and try streaming again. If you continue to have issues, please reach out to our Chat team at www.mydish.com/support/contact or our Social Media team on Facebook/Twitter. 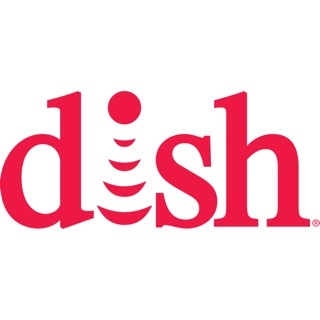 I really like dish. Direct tv was getting really annoying so we switched. It has been so great. But, maybe to improve, you guys could make it so that you can have the option to just choose each channel you want, instead of having them come in packs? Because with each of the channels myself and my 5 other brothers and sisters, we all want different channels. It is so glitchy, and takes such a long time to load, that it would be faster to wait till my siblings go to bed at 7:00 then to wait for the app to load. And I have 1 more thing that is included in every review, PLEASE FIX THE FAST FORWARD AND REWIND BUTTONS!!! I used to love this app but it just won’t work. So I usually have to just watch Netflix or prime video, until 7:00. Please fix these problems so I can rate this app 5 stars again. This is the worst functioning streaming app. I’m very disappointed, because I like to use my satellite service when I’m away from home, but this app is incredibly unreliable. When I open it and choose a channel, it begins streaming, but most of the time only streams for about 15 minuets, then has fits of stops and starts and freezes. I then have to close the app, reopen it, choose a channel then go through the whole process again. Over and over. It happens every single time I use it, unless I’m in my house, basically right next to my receiver, in which case, well, I might as well just watch it on my tv. I switched to Dish from Directv last year, and I constantly wish I hadn’t. When I had Directv, I used their mobile app daily (like I TRY do so with this one) and it always worked seamlessly, including in all of the same locations that I TRY to use this one. The contrast is stark and undeniable. If you’re thinking of switching to Dish from Directv, and like to use your satellite service on the go, DON’T DO IT! I can’t wait until I can go back to Directv. Thank you for leaving us feedback, Sick-of-crashing. To provide the best experience when streaming, there is a network bandwidth requirement of 800 Kbps or better for SD, 4 Mbps or better for HD. This connection quality is important both on the device you're viewing on and your DISH receiver at home. If you notice continued issues with freezing after ensuring you meet these speeds, please visit MyDISH.com/support/contact to start a live chat, or you can visit our Facebook or Twitter page to speak to a representative for further assistance with this!